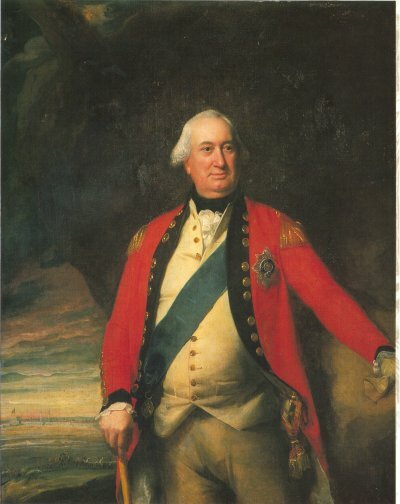 CORNWALLIS, CHARLES CORNWALLIS, 1st Marquess (1738—1805), eldest son of Charles, 1st earl of Cornwallis (1700—1762), was born on the 31st of December 1738. Having been educated at Eton and Clare College, Cambridge, he entered the army. For some time he was member of parliament for Eye; in 1761 he served a campaign in Germany, and was gazetted to a lieutenant-colonelcy in the 12th Foot. In 1762 he succeeded to the earldom and estates of his father; in 1765 he was made aide-de-camp to the king and gentleman of the bedchamber; in 1766 he obtained a colonelcy in the 33rd Foot; and in 1770 he was appointed governor of the Tower. In public life he was distinguished by independence of character and inflexible integrity; he voted without regard to party, and opposed the ministerial action against Wilkes and in the case of the American colonies. But when the American War of Independence broke out, he accompanied his regiment across the Atlantic, and served not without success as major-general. In 1780 he was appointed to command the British forces in South Carolina, and in the same year he routed Gates at Camden. In 1781 he defeated Greene at Guilford Court House, and made a destructive raid into Virginia; but he was besieged at Yorktown by French and American armies and a French fleet, and was forced to capitulate on the 19th of October 1781. With him fell the English cause in the United States. He not only escaped censure, however, but in 1786 received a vacant Garter, and was appointed governor-general of India and commander-in-chief in Bengal. As an administrator he projected many reforms, but he was interrupted in his work by the quarrel with Tippoo Sahib. In 1791 he assumed in person the conduct of the war and captured Bangalore; and in 1792 he laid siege to Seringapatam, and concluded a treaty with Tippoo Sahib, which stripped the latter of half his realm, and placed his two sons as hostages in the hands of the English .... He returned to England in 1793, received a marquessate and a seat in the privy council, and was made master-general of the ordnance with a place in the Cabinet. In June 1798 he was appointed to the vice royalty of Ireland, and the zeal with which he strove to pacify the country gained him the respect and good-will of both Roman Catholics and Orangemen. On the 17th of July a general amnesty was proclaimed, and a few weeks afterwards the French army under Humbert was surrounded and forced to surrender. In 1801 Cornwallis was replaced by Lord Hardwicke, and soon after he was appointed plenipotentiary to negotiate the treaty of Amiens (1802). In 1805 he was again sent to India as governor-general, to replace Lord Wellesley, whose policy was too advanced for the directors of the East India Company. He was in ill-health when he arrived at Calcutta, and while hastening up the country to assume command of the troops, he died at Ghazipur, in the district of Benares, on the 5th of October 1805. He was succeeded as 2nd marquess by his only son, Charles (1774—1823). On his death the marques sate became extinct, but the title of Earl Cornwallis passed to his uncle, James (1743—1824), who was bishop of Lichfield from 1781 until his death. His son and successor, James, the 5th earl, whose son predeceased him in 1835, died in May 1852, when the Cornwallis titles became extinct.